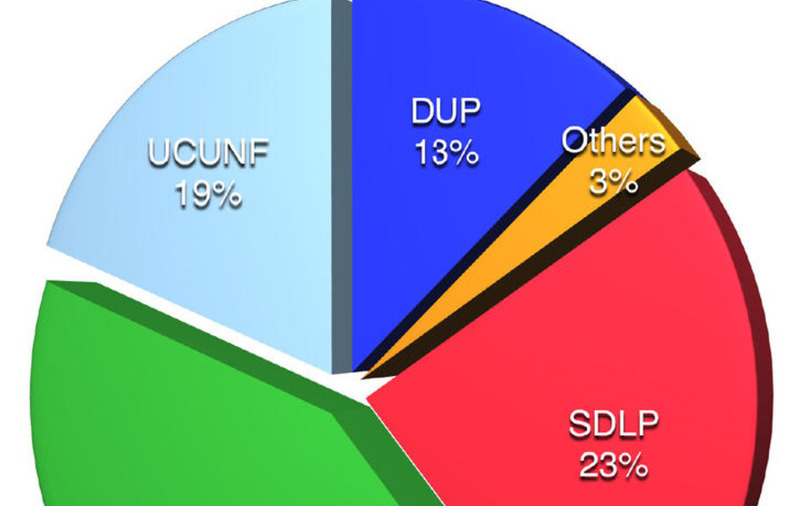 According to the last general election result, the nationalist-republican vote is near double that of unionists - yet by entering into a pact with the DUP, Mike Nesbitt's party must believe it has a chance of taking the seat once occupied by Jim Nicholson. An Ulster Unionist MEP these days, Nicholson resigned the seat in 1986 as part of a pan-unionist protest against the Anglo-Irish Agreement. However, unlike his counterparts across the north who were comfortably returned to the House of Commons, he failed to get re-elected as the SDLP's Seamus Mallon overturned a 1,500 majority to secure Newry and Armagh for nationalism for the first time. Mallon was among the SDLP's most effective performers at a time when his party was nationalism's predominant voice, and his unwavering opposition to IRA violence also won him respect, along with some votes, from the unionist community. But his decision not to contest the 2005 Westminster election, combined with Sinn Féin's post-Good Friday Agreement ascendancy, saw the SDLP overtaken in a constituency which many believe has always been instinctively republican. The first Sinn Féin MP for Newry and Armagh was Conor Murphy, who two years after the Westminster election was appointed regional development minister in the Stormont Executive. In 2010, while still double-jobbing –albeit as an abstentionist – Murphy was returned to Westminster with a marginally greater majority of 8,331 over his nearest rival, Dominic Bradley of the SDLP. This time around Sinn Féin is running Newry man Mickey Brady, who although an MLA for the constituency doesn't have his predecessor's profile or the same attachment to south Armagh's republican heartland. Nevertheless, in a seat with strong bonds to Sinn Féin the calibre of the candidate has little bearing on his or her vote. 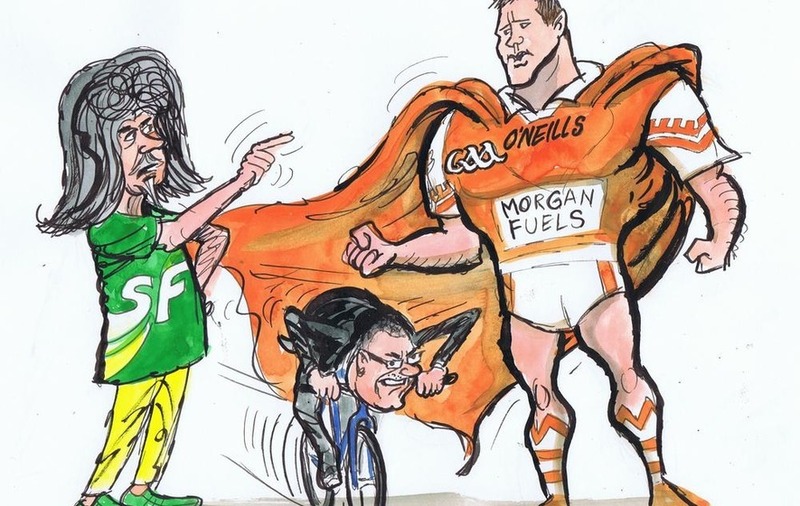 The SDLP, meanwhile, has done its utmost to talk up the credentials of its runner, former Armagh All-Ireland winning footballer Justin McNulty, whose family have been long-time party activists. On paper, McNulty looks like a capable challenger but to date has had a low profile outside the constituency. While the DUP has a Newry and Armagh assembly member in the shape of William Irwin, it has always played second fiddle in the constituency to the Ulster Unionists. 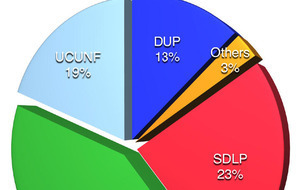 Many commentators have therefore highlighted how Peter Robinson got the better deal in the trade-off of seats for the unionist pact. In Danny Kennedy the UUP have a strong contender but his only hope of taking first place is an evenly split vote between McNulty and Brady, which given the reasons outlined above is highly unlikely. Alliance's Kate Nicholl and the NI Conservatives' parachuted-in candidate Robert Rigby, meanwhile, will be lucky to secure one thousand votes between them. :: Bessbrook was founded by John Grubb Richardson in 1845 as a 'model village' for a Quaker-owned linen mill on the philosophy of "Three Ps" - no public houses, no pawn shops, and consequently no need for police. There are still no public houses or pawn shops, but there is a PSNI station. :: Alex Kane: Mickey Brady – The numbers just don't stack up for anyone else and the unionist pact will have helped Sinn Féin. :: Brian Feeney: Mickey Brady – This is a Sinn Féin seat and there's no prospect of the SDLP recouping the lost Mallon vote. :: David McCann: Mickey Brady – Brady should hold the seat but with a single unionist candidate the real contest will be for second place.